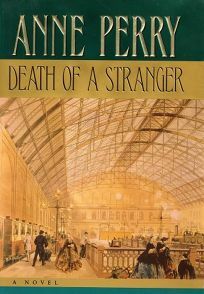 Forecast:Perry is also the author of the Thomas Pitt Victorian series, most recently Southampton Row (Forecasts, Jan. 14), which was up to her usual high standard. Pressure to deliver the same quality on the first of her forthcoming WWI quintet may account for the relative weakness of what seems like a wrapup of the Monk series. Nonetheless, this entry should sell well enough.